2004 BFA Fashion Design graduate Jill Giordano is the co-founder of gr.dano, a women’s clothing line based in the Bay Area with a stellar international reputation that has just been featured in the March 2009 issue of O The Oprah Magazine. gr.dano is a fusion of two design school disciplines: fashion design and graphic design. New York native, Jill graduated from with a degree in fashion design in 2004. Before attending the Academy, she received her degree in International Business from SUNY Plattsburgh and worked in advertising during the Dot-Com era. Her senior collection from the Academy was showcased in the Neiman Marcus windows in San Francisco as well as landed her an internship in Mallorca, Spain with designer Sebastian Pons. 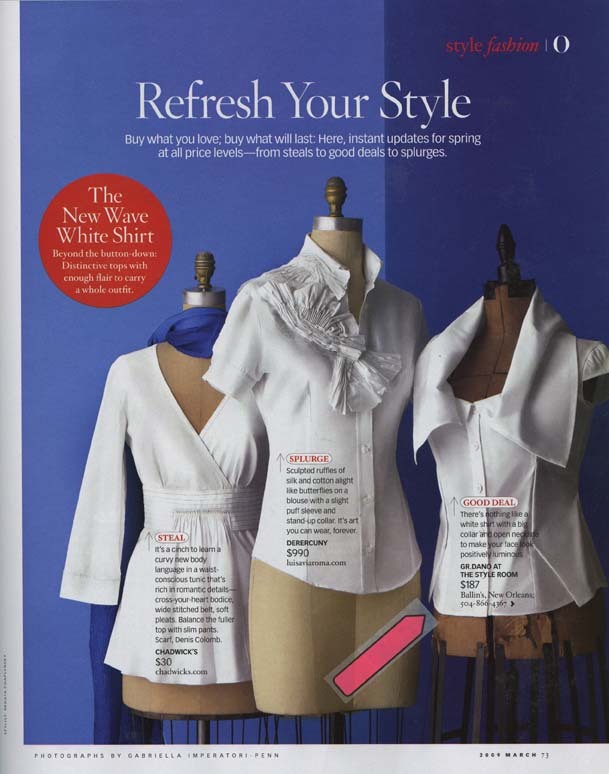 Gr.dano has been featured in Women’s Wear Daily, C magazine, Marin magazine, 7×7 magazine, San Francisco Chronicle, Stylehive.com, DailyCandy, and on the Style Network. Jill and Brian can now add O The Oprah Magazine to that list! Jill takes the time to teach at her Alma Mater in the areas of fashion design, sewing and patternmaking. 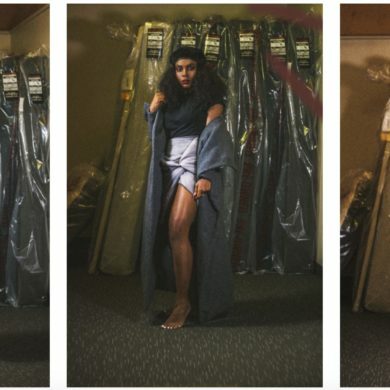 She feels that the knowledge and skill she gained while attending the University allowed her to grow as a designer and is happy to share her experience and knowledge as a working designer with the newest crop of young fashion students. We caught up with Jill to ask her some questions. What is the inspiration for your Spring 2009 Collection? Themes of early 20th century travel…when travel was a luxury. The glamour and fuss of it all. When travel was an event and one dressed accordingly. We created a collection with the romance of this kind of travel but for the modern day woman. We usually start with one idea and it develops into 3 or 4 themes. This approach seems to work well for us – that way we never run out of ideas or places to pull from. 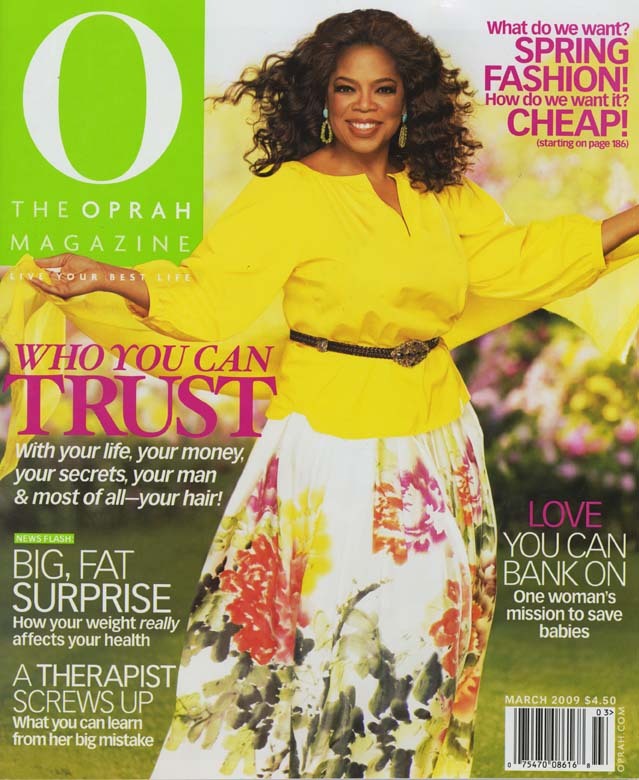 What has the response been after O The Oprah Magazine hit the newsstands? Really great! Oprah is such an icon and women pay attention to products and companies she promotes. Her best friend, Gayle King, who is editor at large of the magazine, has personally asked for one of the shirts. The store mentioned in the magazine that sells our line has received calls from all over the country wanting to order the shirt featured. Other stores have sold out. It’s all very exciting! You have shown twice during New York Fashion Week. How has this helped your business? One gains credibility in the industry by showing in New York Fashion Week. Since we work and live in San Francisco, this allows us to make more contacts in New York. The most important thing in fashion other than your designs is who you know. After doing the shows the gr.dano name just starts to get into places and presents opportunities we wouldn’t have had otherwise. Favorite things about San Francisco? The freedom and individuality the city allows people to enjoy. San Francisco is all about being who you are. This is true with personal style as well as within different neighborhoods. You can be in one neighborhood and it’s got its own vibe. Turn a corner and you are taken somewhere else. There is so much variety and influences from other places so you can never get bored. Favorite things about the School of Fashion? The creativity of the students. I am constantly amazed at how talented they are. There is always something new and interesting to look at just walking through the halls and looking at all the artwork. Their enthusiasm keeps me inspired. Looking to things that have remained relevant through time such as clean unique looks, flattering silhouettes, and versatility, not trend driven. We are paying close attention to the state of the economy and world right now and using time tested ideas in architecture, film and art and incorporating it into our designs. Work! Fashion never ends!…. And of course trying to squeeze in a trip here and there!